FOR MORE REVIEWS SEE: VRBO listing 332976. When you want to stay in the center of it all, but don't want to pay the high prices and can do without a full kitchen, this is the place to rent. This is our second unit in our Brooklyn. Our first is a full one bedroom apartment with kitchen (see #332976). This unit does not have a kitchen. I does have a microwave, mini fridge, coffee maker, water boiler. Brownstone on a tree-lined block, steps away from the 2/3 train at Bergen and 2 blocks away from the B/Q at 7th Ave, at St. Marks ave and Flatbush. We are a short walk from Prospect Park, Park Slope, the Brooklyn Botanic Garden and the Brooklyn Museum. Restaurants galore in our neighborhood and we are one block away from the many restaurants that line 5th and 7th Aves. There are also many gyms, yoga studios, and most anything you would want/need during your stay. The four story house is a multiple dwelling with all professionals in the building and is a very quiet environment. The owners live downstairs from the apartment. The unit is a large bedroom with en suite bathroom and large closet. It has no kitchen. It is not a one bedroom apartment, although it is a very large space as New York City spaces go. It is your own private space. It has a private entrance from the main hallway of the building. Although this unit has a large full bathroom, it does not have kitchen plumbing and purposefuly only has a mini fridge, microwave, coffee maker and water boiler. The bathroom plumbing is not intended as a kitchen sink so if you wish to do most of your eating in, this is not the right fit for you. If however, you will be eating out mostly and will be having some coffee, cereal or warming up left-overs, this unit will do just fine. We do have a unit down the hall (featured in VRBO #332976 )better suited for preparing foods with full kitchen which includes microwave, toaster, coffee maker, tea kettle, stove, oven and full size refrigerator. There is a Roku Smart TV. Bring your account info to access Netflix/prime/direct tv NOW, etc. Free local channels are available using HDTV antaenna. Feel free to inquire about our larger unit as well. When you plug in your dates, you will receive our best price. No need to inquire for lower or discounted prices, our lowest already discounted price is automatically reflected when you plug your dates in. Radiator heating throughout the building. Extra space heater which is rarely needed. Street parking. You will have to abide by street cleaning rules requiring you to move 3x per week. Can park on side streets without moving from friday afternoon to monday morning. Roku Smart TV. Bring your account info to access Netflix/prime/direct tv NOW. Free local channels using HDTV antaenna. The location of this home is ideal; great food and easy public transit access, but relatively quiet too. The room itself isn’t anything fancy but it does the job well; it’s clean, comfortable, well stocked and plenty spacious for a solo traveler or couple. Be aware you can hear your building neighbors - this is an old (and beautiful) building so you’ll be able to hear activity in the units around you, on the stairs, etc. But overall things were pretty quiet during our stay. Check-in and check-out were easy. Overall a great spot for the very reasonable price. We loved staying at this perfectly situated place nearby subway stops and places to eat/drink. Thought we’d Lyft from JFK but it was easy and cheaper to get to via subway & the LIRR. Easy walk to an event at Barclay’s Center. Short trip, so didn’t need a kitchen. Lots of communication from the friendly owner. Clean room on a quiet street with lots of room in a walk-in closet. Definitely recommend. This apartment is just as described. Quiet, clean, comfortable bed and nice size bathroom. 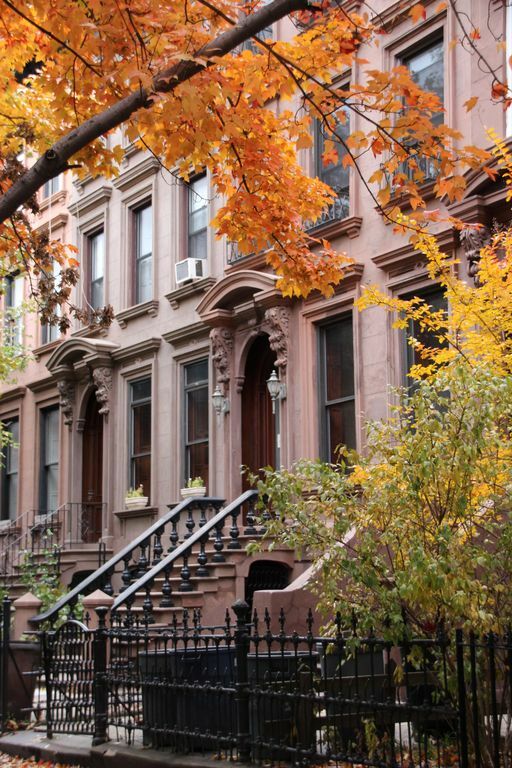 Plenty of places to walk to and very short walk to restaurants and shops in Park Slope. Two subway stops within 5 minute walk. Can be in Times Square in 30 minutes. Nicole was so accommodating. Allowed us to drop off luggage early and stay late on Saturday as no one was coming in behind us. So sorry we didn't get to meet you; however next time hopefully we will. Glad you enjoyed your stay. We do have a higher powered one. Just remind me to give it to you the next time you come and make sure you don’t run it at the same time as microwave! See you soon! Awesome brownstone with perfect location! Nicole was helpful and available for questions. Room was spotless and comfortable. Location could not have been better. I will stay again! My second stay. Look forward to many return trips. The perfect home away from home. Another wonderful stay in Brooklyn. My room was spotlessly clean and fresh, comfortable bed and everything I needed. I will surely stay here again when possible. The first payment of 50% deposit is due through the VRBO/Homeaway website. Once we received the deposit your reservation will be confirmed. VRBO/Homeaway will then schedule the payment for the second 50% payment. Should you wish to pay via VRBO/Homeaway, please do on their schedule. Should you want to pay upon arrival in cash in exchange for the keys, feel free to let us know and you can then bring the cash balance to the house at check in.